Good basic performance, with just a little more noise than some. Doesn’t seem to translate into entirely convincing musical involvement. Graham Slee does make other products, but is best known for phono stages of which, there is quite a variety available. This is the cheapest moving coil unit, just £40 dearer than the company's basic moving magnet model. Dearer models in the range include some with switchable equalisation, a boon for collectors of pre-1956 discs. The circuit is based on a high-performance op-amp, carefully partnered with just enough passive components to do the job. 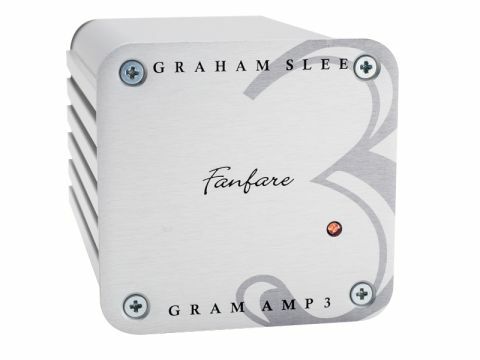 Despite good experiences in the past with Slee products, we found the sound of the Gram Amp 3 to be something of a paradox. Starting with the obvious, it is not as quiet as some rival models. A little background noise is not the end of the world but can easily compromise imaging to some extent and that seems to be the case here. Detail is pretty good, however, and tonal neutrality is not in doubt. Rhythm is good when it needs to be and the bass is generally solid and energetic. And yet, despite all those boxes ticked, we never found ourselves quite carried away by the music in the way that can happen with the finest hi-fi. One can hear quite effectively into the music, but it just doesn't quite gel.